Join us in our commitment to turn childhood dreams into reality by supporting THONTM. 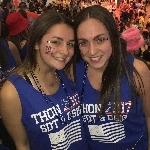 Our Organization, Sigma Delta Tau, is taking action by uniting with 16,500 student volunteers and over 25,000 alumni supporters in the fight against childhood cancer. Our year-long efforts culminate in a 46-hour, no-sitting, no-sleeping dance marathon each February to celebrate our survivors, remember those we’ve lost, and take a stand--all in hopes of one day dancing in celebration of a cure. 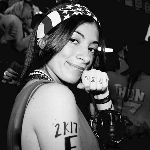 The motivation, energy, and selflessness that drives our organization solidifies our passion for the cause. 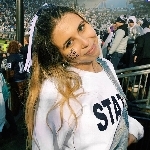 Our members have felt and seen how much spirit THON captures. 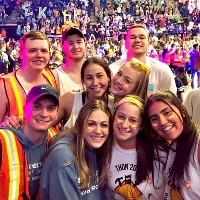 THON represents for us a way to connect with that spirit, thrive in that spirit, and, at the same time, make a significant difference in the war on cancer that each member has cared about, cried about, and worked very hard in support of for a very long time. Our organization hopes you support and contribute to our goals in providing both financial and emotional support to families impacted by childhood cancer.